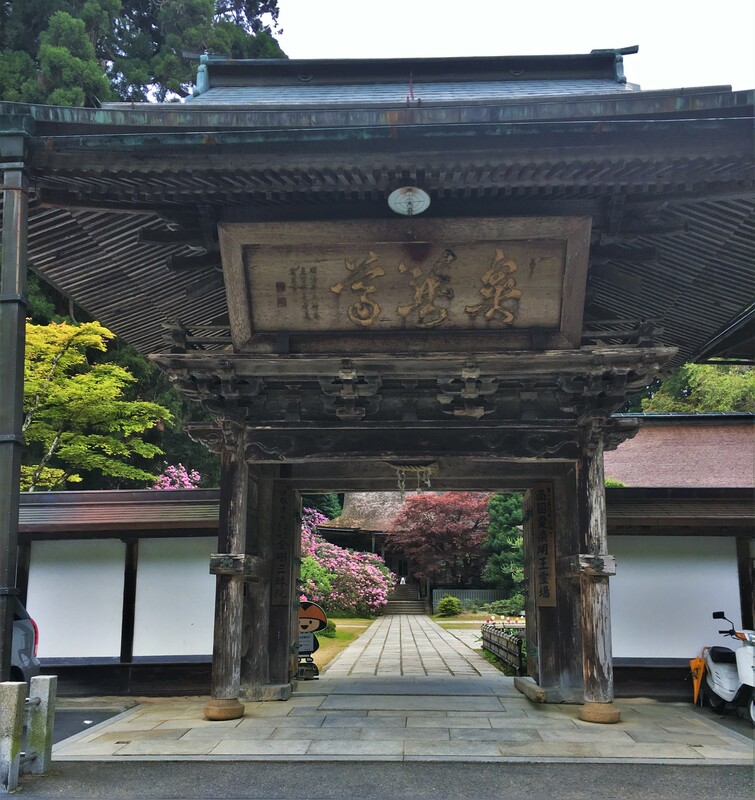 The ancient temple complex Koyasan is one of the most spiritual locations in Japan. With literally hundreds of temples within its vicinity, it is easy to feel overwhelmed! 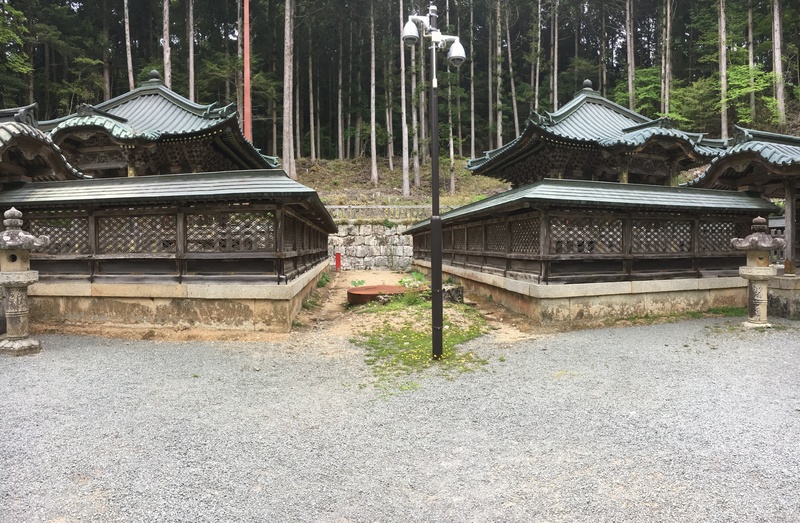 Of course, the two major sites at Koyasan are Danjo Garan and Okunoin. However, there is still so much more. Among those, we recommend, Kongobu-ji, the Tokugawa Mausoleum and Kongo Sanmai-in. Originally, Kongobu-ji was the site of a different temple, Seigan-ji [青厳寺]. 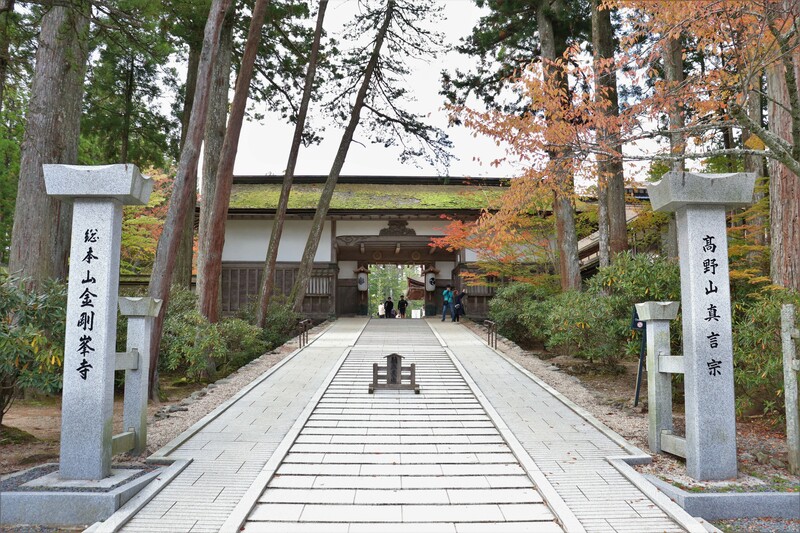 In the Meiji Period, Seigan-ji merged with nearby Kozan-ji and got renamed Kongobu-ji. 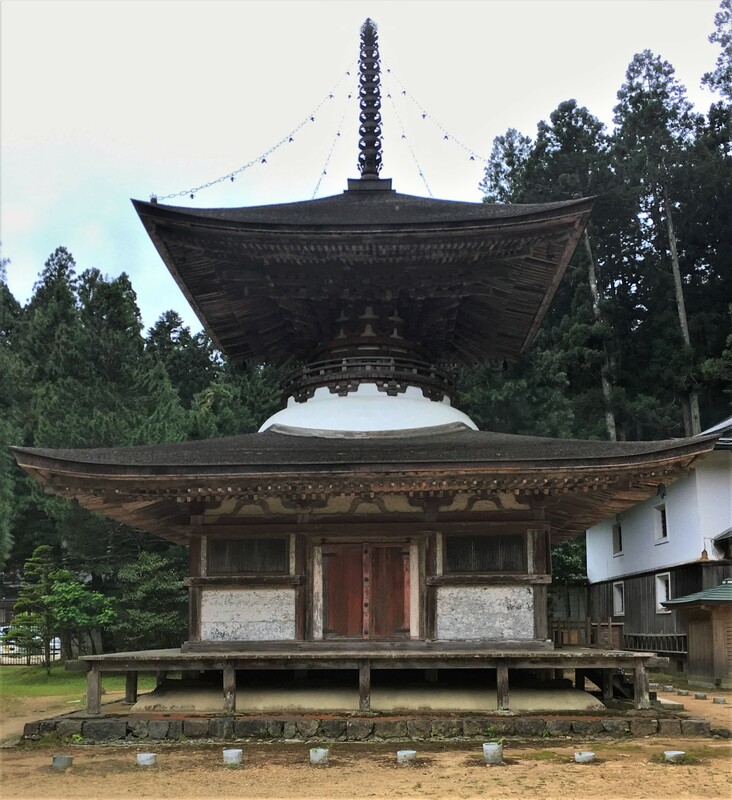 Today this Kongobu-ji is the main temple of Shingon Buddhism. 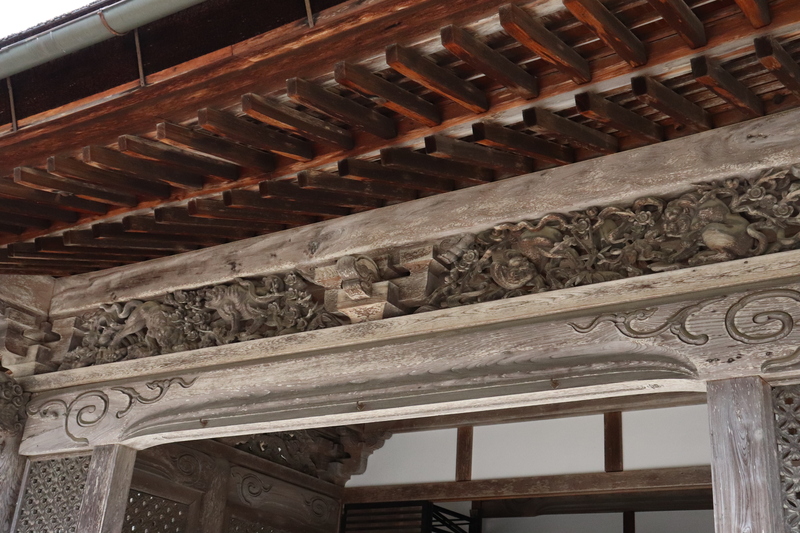 However, it is worth mentioning that this Kongobu-ji is different from Kukai’s Kongobu-ji. 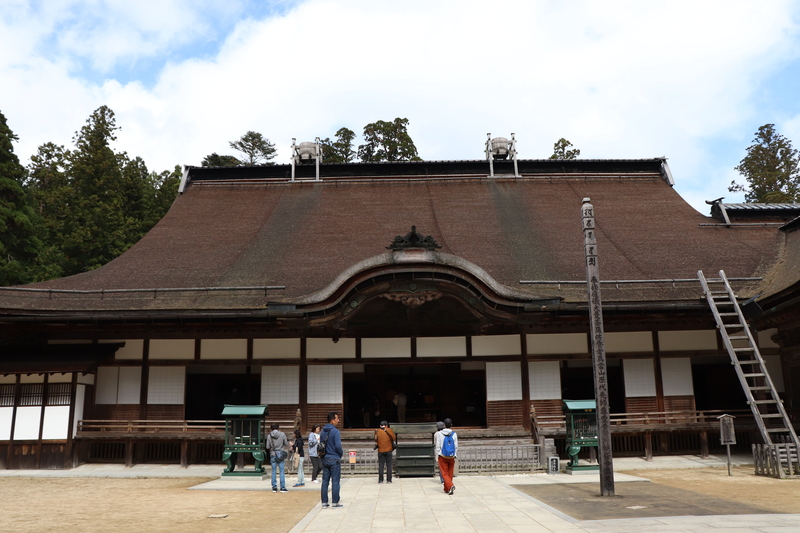 In Kukai’s time, the entirety of Koyasan was called “Kongobu-ji” of which its most important structure was the Danjo Garan. 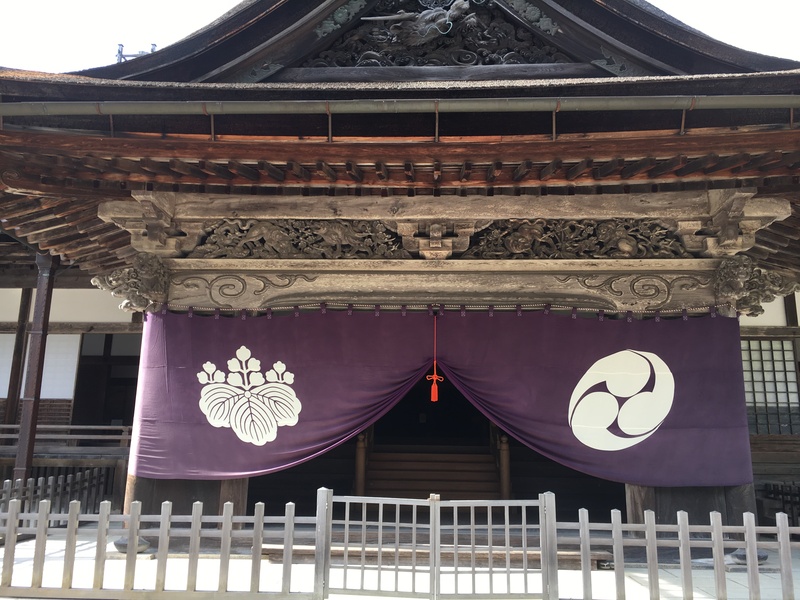 So while it is true that the main branch of Shingon sect is currently this Kongobu-ji, the heart of Koyasan is the Danjo Garan. Built in 1592, the purpose of Seigan-ji was to mourn the soul of Toyotomi Hideyoshi’s mother. Later, this same temple received the soul of yet another member of the Toyotomi clan. While in his 60’s, Hideyoshi and his wife miraculously had a son; his own direct heir at last. Unfortunately, many years prior Hideyoshi declared that his nephew, Hidetsugu, would be his successor. In order to secure his son’s future Hideyoshi arranged to send Hidetsugu to Seigan-ji. There pressured by his uncle and those at his uncle’s disposal, Hidetsugu eventually took his own life. Kongobu-ji is located right next to Danjo Garan. Once you enter the gate, you will see the main temple. As you can see, the temple is quite small as there is no pagoda or any other buildings typical of Japanese temples, such as a kondo or kodo. The buckets are on the roof collect rain water in case there is a fire. Before entering the temple, take some time to appreciate the carvings on the building. The details of the dragon and other animals are very impressive! The large entrance is only for emperors and high ranking monks. 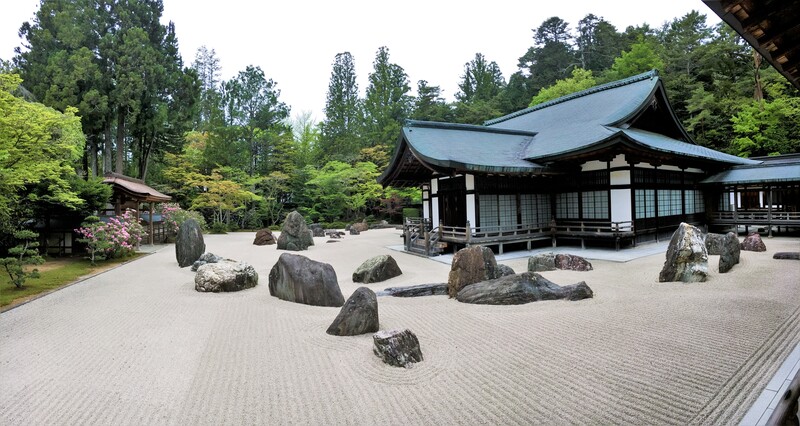 Unfortunately, you are not allowed to take photos inside the temple, except of the rock garden. Sometimes one of the monks at Kongobu-ji will give a lecture about Buddhism. It is free to sit in and listen and you will even get free tea and a snack. The mausoleum is down the small road. 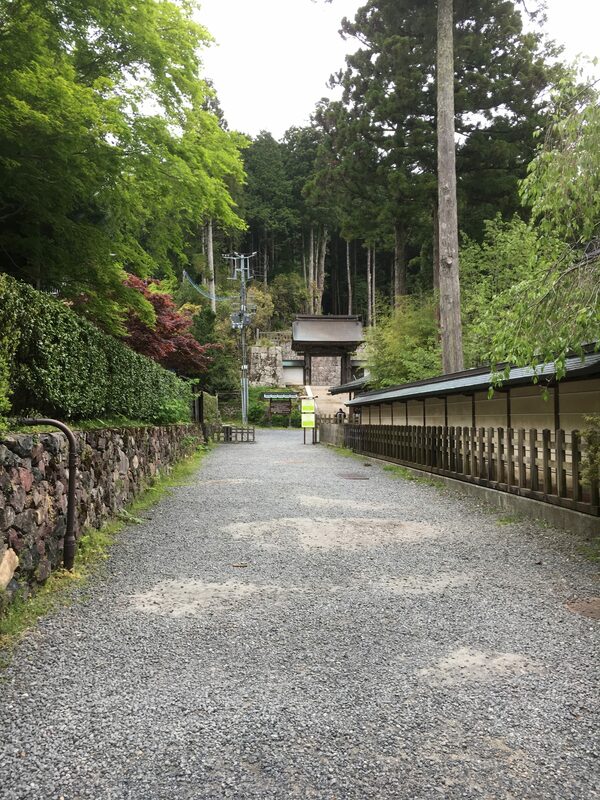 Near the entrance of Koyasan is the Tokugawa Mausoleum. At one time there was a temple related to the Tokugawa clan here, but now only the mausoleum is here. 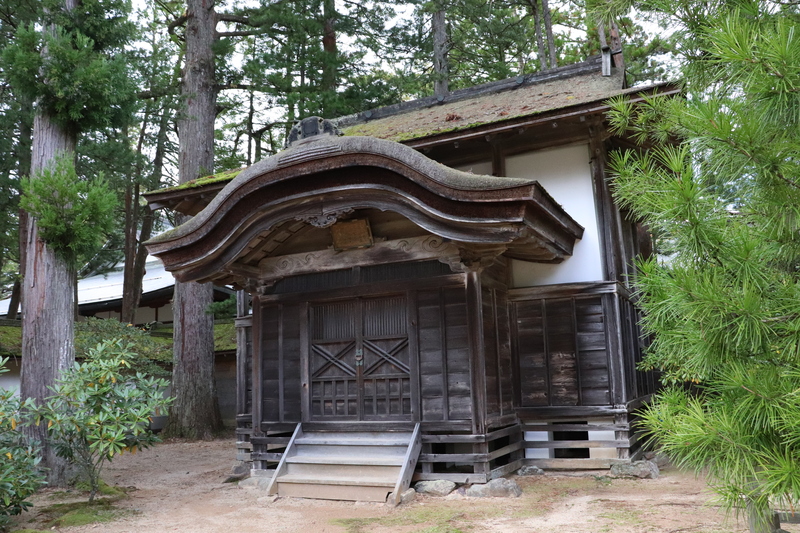 It was built in 1643 by Tokugawa Iemitsu, the third shogun of Edo government. 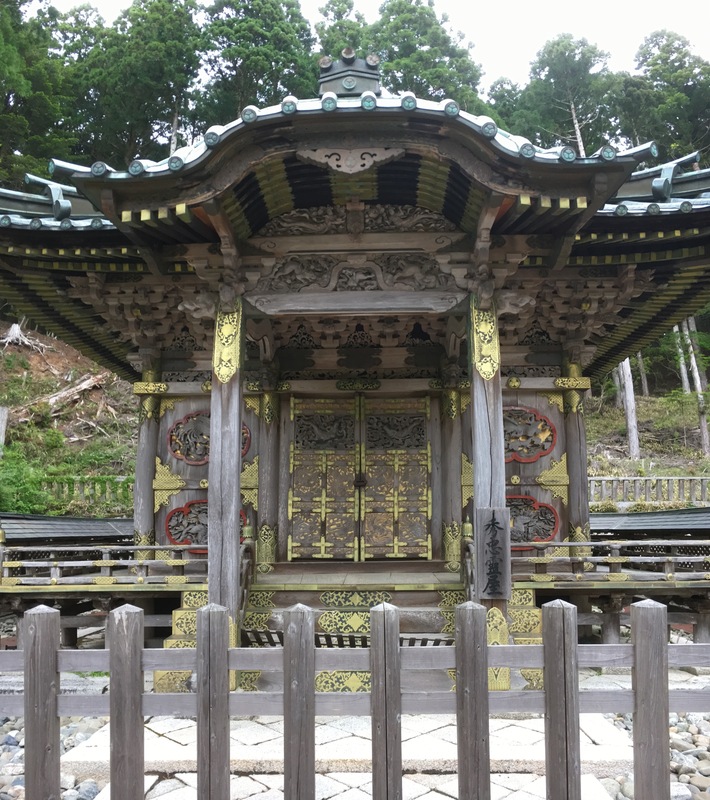 Though this mausoleum may not be as impressive as the one in Nikko, its architecture and carvings are very detailed and since given only a few Tokugawa mausoleum do exist in west Japan, it is very much worth seeing. The one of the right is for Tokugawa Ieyasu. You can tell it is Ieyasu’s because it has torii in front of it. 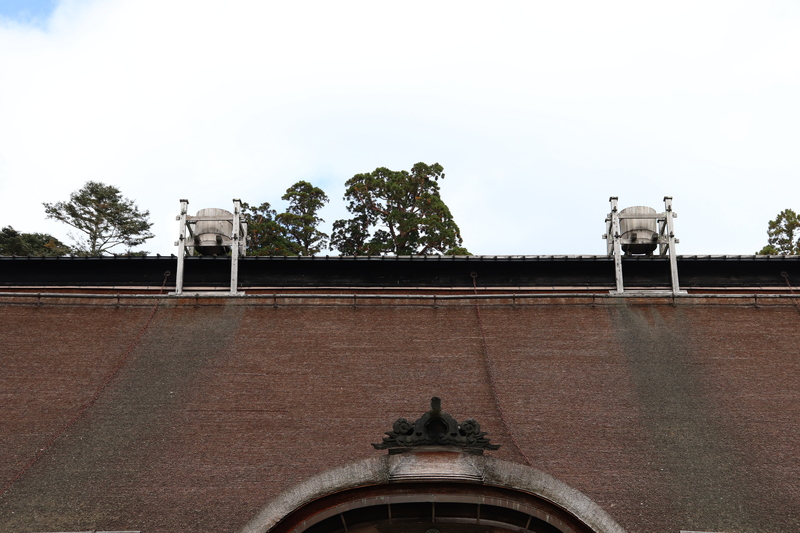 The one on the left is for Tokugawa Hidetada, the second shogun of Edo government. 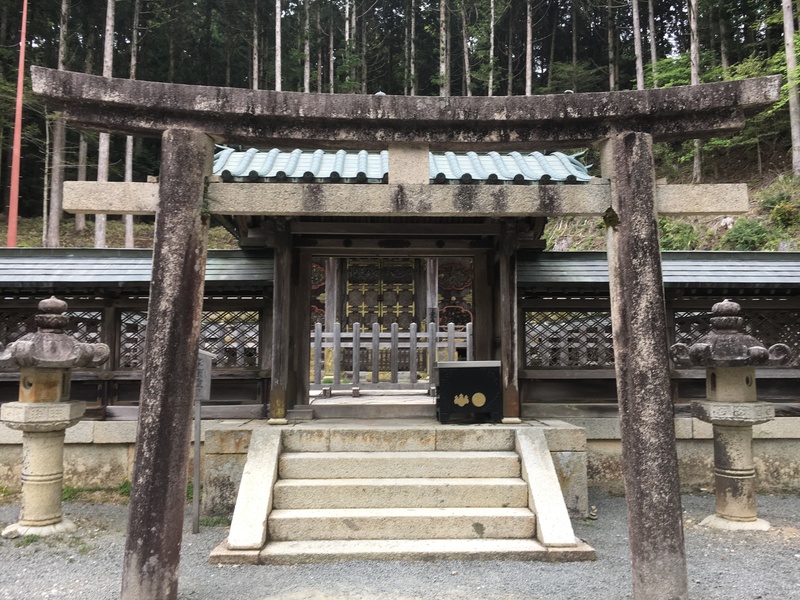 The Kongo Sanmai-in [金剛三昧院], which sits along the way to the Okunoin from the Danjo Garan, is the only small temple in Koyasan that is a World Heritage site. 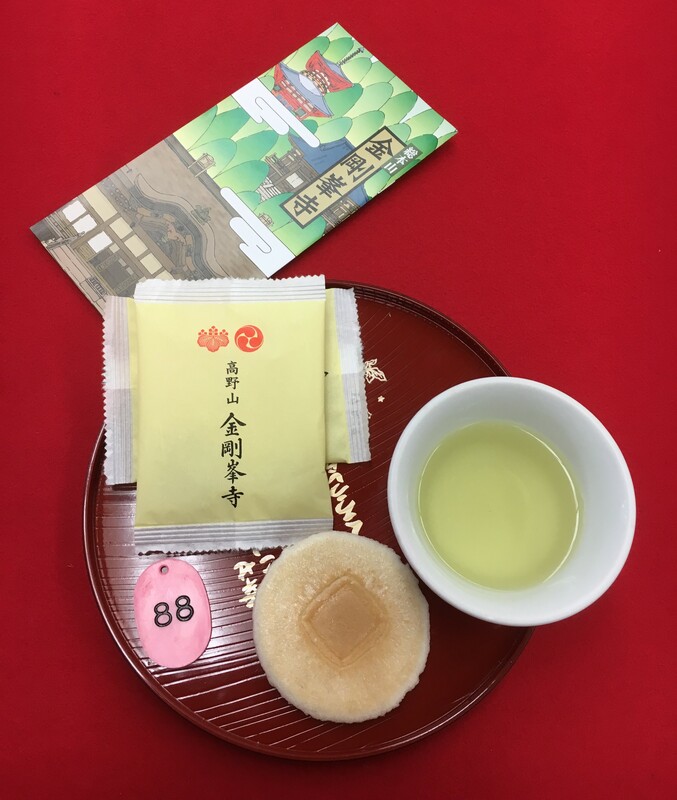 The temple was built 800 years ago as the family temple of Minamoto clan by Hojo Masako, the wife of the first shogun of Kamakura Government, Minamoto no Yoritomo. Hojo Masako would go on to become an accomplished military leader in the Jokyu War, the first war between samurai and the imperial family. 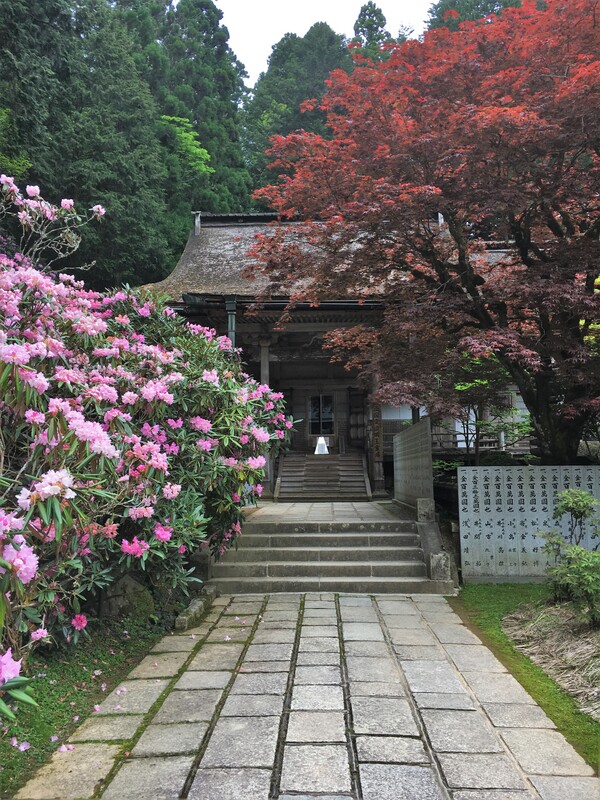 Also, the first monk of this temple was Eisai [栄西], the founder of the Rinzai sect of Zen Buddhism. For these reasons, Kongo Sanmai-in gained a lot of popularity with samurai from Kamakura. 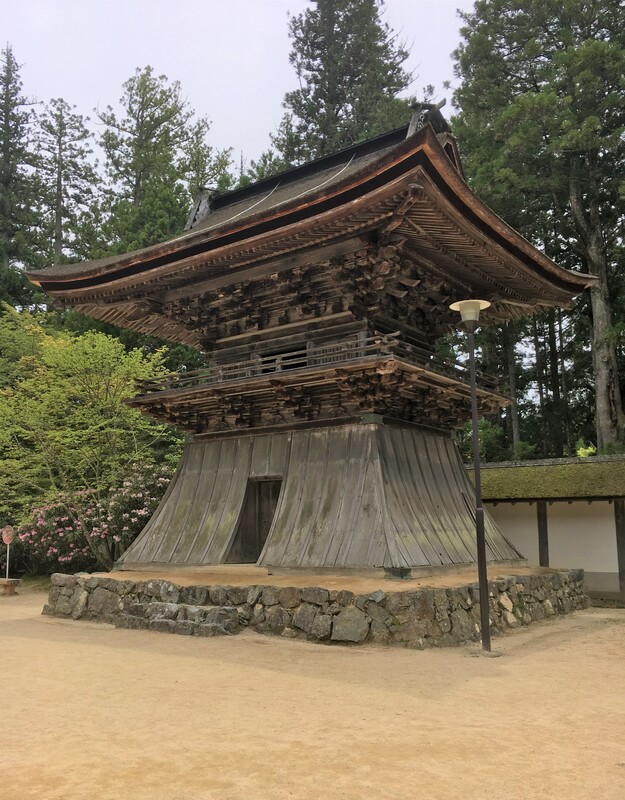 Tahoto: second oldest pagoda in Japan. 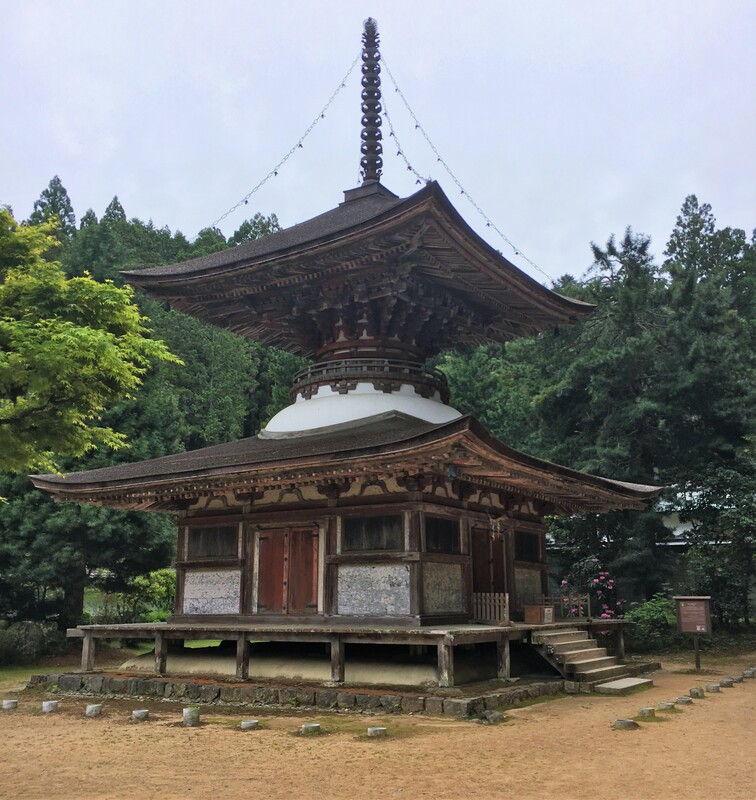 Not only is this temple historically famous, but also successfully avoided the many fires that Koyasan experienced over the centuries. 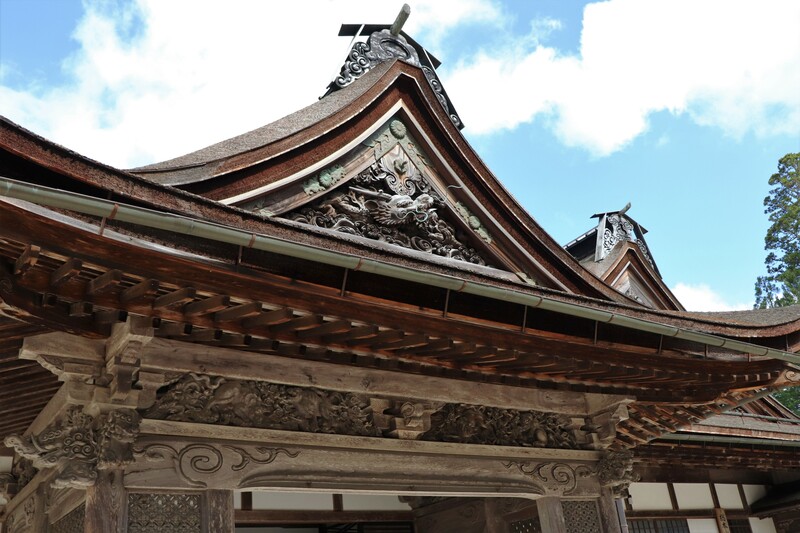 This means Kongo Sanmai-in has many old buildings including a pagoda that is a Japanese National Treasure. 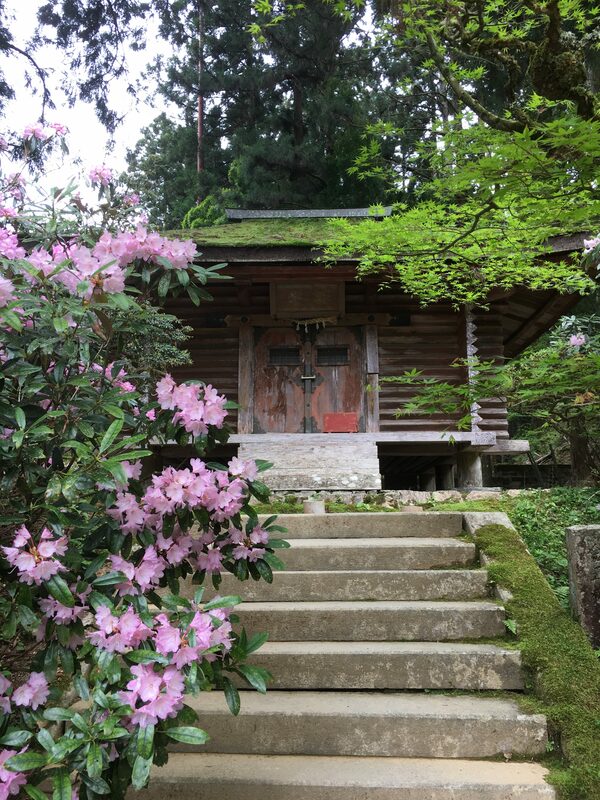 The temple grounds are especially pretty when the rhododendron come in to bloom. 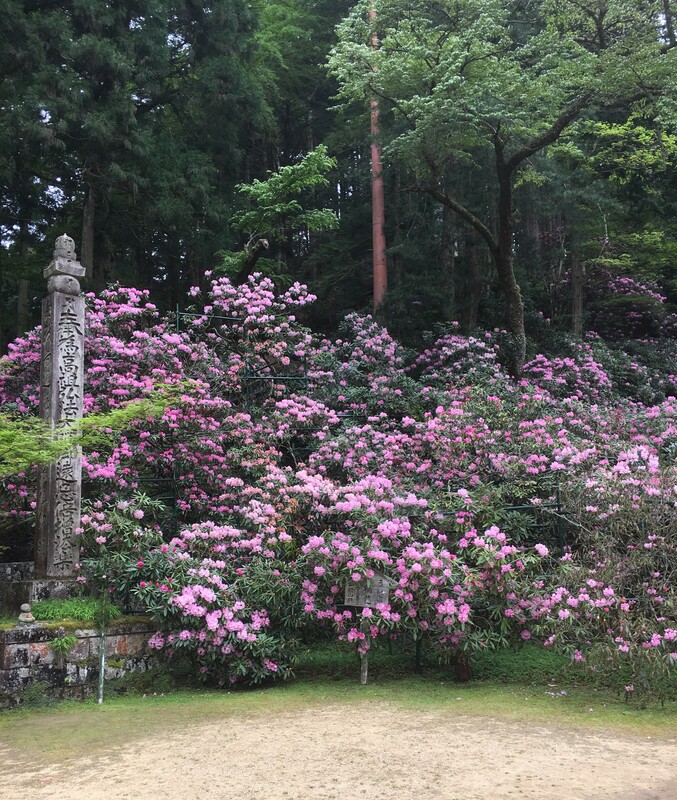 The rhododendron here is 450 years old. The Magical World of Japanese Puppet Theater, Bunraku!